Provide comfort for the family of Judie Qualls with a meaningful gesture of sympathy. 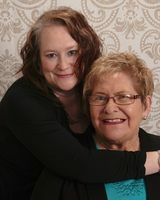 Judie Ellen (Burr) Qualls, 72, of Webbers Falls, OK moved to heaven on January 8th, 2019. She was born to Frank Burr and Lydia Mae (Stout) Burr on April 27, 1946. She was their 13th child. 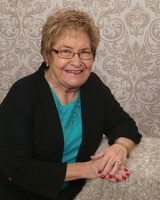 She grew up in the area attending school at Webbers Falls Public Schools, graduating class of 1964. She attended Connors State College and received her bachelor’s degree from Northeastern State University. She married Kenneth Andrew Qualls on November 1, 1967 and had one daughter, Cynthia Lynn Qualls of Tulsa, OK.
She taught school early in her career and then entered the business field working with the Montgomery family for many years. She retired as the administrator of Vista Nursing Home in Heavener, OK.
Judie had a full life and liked to stay busy. She was active in her church, Cornerstone Tabernacle; served with the Gore TOPS group and loved to travel with her family and friends. Judie was known by her smile and sweet spirit and will be missed by the many people who knew and loved her. She is survived by her daughter Cynthia and three brothers and sisters in love; Frank Burr of Tulsa, OK, Tom and Mary Burr of Collinsville, OK and Edd and Ginger Burr of Jenks, OK, sister in law Carol (Hollingshead) Burr and by numerous nieces, nephews, and cousins. Judie was preceded in death by her parents, Lydia and Frank; former husband, Kenneth; several siblings and their spouses: Alfred and Addie Burr, Juaneva (Pip) and CJ Qualls, Helen and Cecil Garner, Mable and Robert Parsons, Thelma Burr, Reitha (Chick) and Elmer (Jack) Kennon, Angie (Schatz) Burr, Robert (Jack) and Loretta Burr, Betty Boots and Bobby Mason and Fred Burr. A memorial service to celebrate Judie’s life will be held at 11:00 a.m. on Saturday, January 19, 2019 at Cornerstone Tabernacle in Gore, OK with Pastor Jeff Green officiating. In lieu of flowers donations may be in Judie’s name to Cornerstone Tabernacle 401 8th St. Gore, OK 74435. To send flowers in memory of Judie Ellen Qualls (Burr), please visit our Heartfelt Sympathies Store. We encourage you to share your most beloved memories of Judie here, so that the family and other loved ones can always see it. You can upload cherished photographs, or share your favorite stories, and can even comment on those shared by others. Provide comfort for the family of Judie Ellen Qualls (Burr) by sending flowers.